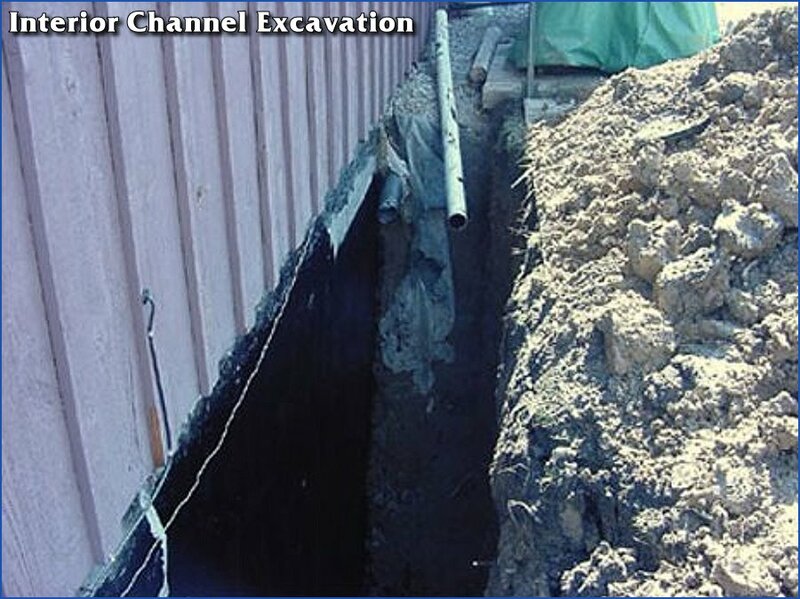 Excavation is the most expensive method and destructive to landscaping, but sometimes necessary to solve the problem. This method may be required if you have bowed walls, major foundation cracks, finished basements, wall deterioration or failure of competitors system. This was a job that Interior Channel had to redo after a contractor only dug down a couple feet and did not solve the water problem. Interior Channel dug down to the footer and installed new tile, waterproofed the wall and backfilled with stone. The customer is now enjoying a dry basement. Please visit our Foundation Repair page for pictures of our work.